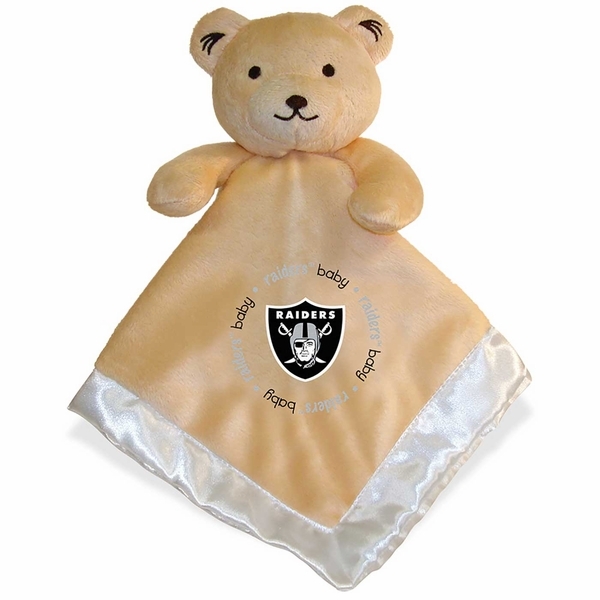 Your little one is sure to feel safe with the Raiders Security Bear Baby Blanket by Baby Fanatic! This baby blanket features a soft, plush bear attached to a 14� x 14� blanket with satin trim, and an embroidered Raiders� shield logo. 100% polyester.